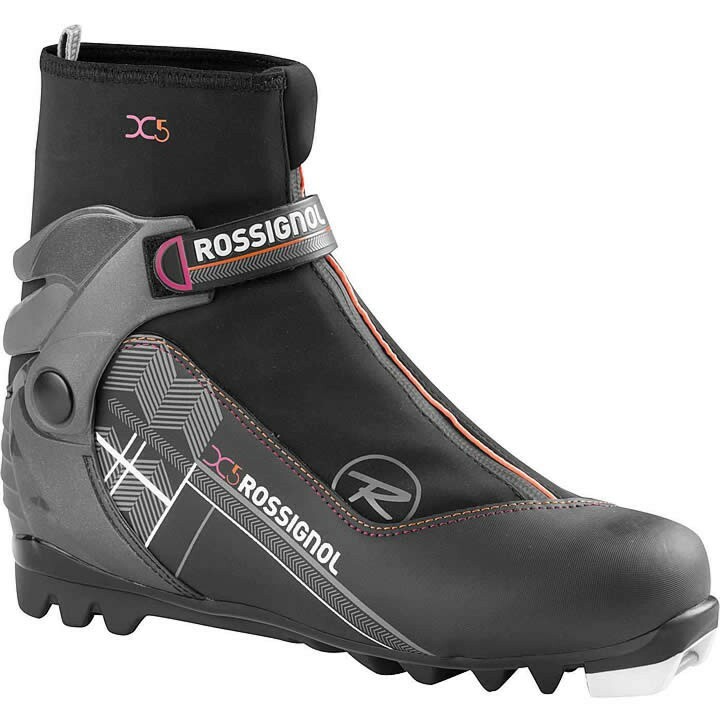 The new Rossignol X5 FW is a versatile women's touring boot with enhanced comfort and warmth for recreational skiers and active winter enthusiasts. A free-hinge cuff with velcro powerstrap provides better mobility, stability and control. The Thermo-moldable women-specific fit, external lace-cover, taller cuff and Thinsulate® lining offer enhanced comfort and warmth. The X5 FW is designed with a reinforced toe-box, midsole and heel to deliver increased durability for exploring on and off-trail. Women Lining: Soft fleece lining offers increased comfort, warmth, and protection. Polartec Thermo Adjustable Fit: Heat-moldable liner provides a customized fit for increased comfort, precision and warmth. Velcro strap: Provides increased support for enhanced power transfer.